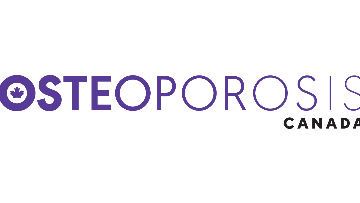 Osteoporosis Canada (OC), a registered charity, is the only national organization serving people who have, or are at risk for, osteoporosis. OC works to educate, empower and support individuals and communities in the prevention and treatment of osteoporosis. Osteoporosis is a disease characterized by low bone mass and deterioration of bone tissue. This can cause the skeleton to become fragile, so that even a slight bump or fall, from standing height or less, can lead to a broken bone (referred to as a fragility fracture). Osteoporosis has no signs or symptoms until a fracture occurs – this is why it is often called a ‘silent disease’. In February 2005, the Ministry of Health and Long-Term Care announced Ontario’s first Osteoporosis Strategy. The goal of the Strategy is to reduce morbidity, mortality and costs from osteoporotic fractures using a patient centred, inter-disciplinary approach that is integrated across health care sectors and aims to reduce osteoporotic hip fractures in Ontario by 20% by 2020. The Fracture Screening and Prevention Program (FSPP), a secondary fracture prevention initiative launched in 2007, is a key priority area for the Ontario Osteoporosis Strategy. Fracture Prevention Coordinators (FPCs), as part of the Ontario Osteoporosis Strategy (OOS) at Osteoporosis Canada, implement the FSPP in fracture clinics around the Province. The role of the FPC, in an effort to prevent subsequent fractures, including hip fractures, is to identify and screen patients aged 50 and older who have sustained a fragility fracture. The Coordinator then facilitates access to appropriate diagnostics and follow up care for patients identified as being at-risk for a subsequent fracture. The FPC screens fragility fracture patients within the fracture clinic environment (via in-person, phone, Ontario Telemedicine Network (OTN)) and provides information and support to connect these patients with primary care and community-based services, as appropriate. The FPC also works with orthopaedic surgeons, allied health professionals, fracture clinic staff and primary care to help improve patient access to integrated and appropriate post-fracture care for osteoporosis investigation and management. The FPC informs patients of the need to follow up with their family physician/nurse practitioner and, potentially, an osteoporosis specialist for osteoporosis assessment and appropriate treatment to reduce the risk of future fracture. Reports to: Regional Integration Lead (RIL), Ontario Osteoporosis Strategy, Osteoporosis Canada. Experience working with Electronic Medical Records (EMR) and computer proficiency, including Microsoft Office, are a must. Excellent oral and written communication skills; ability to work independently, with initiative and with limited supervision; ability to work as part of a diverse team and the ability to demonstrate sensitivity to the needs of patients. Diligent use of protocol tools to identify and screen fragility fracture patients aged 50 and older, collect patient data and provide patients with appropriate referrals, information and resources. Responsible for ensuring patient privacy, privacy and security of data and a database, as per privacy and security policies. Facilitate diagnostic testing for identified patients, as appropriate. Ensure appropriate follow-up by a primary care provider or specialist, as required. Discuss with patients and/or caregivers the significance of bone health, risk factors for fractures, osteoporosis, falls and management of osteoporosis, as appropriate. Communicate with the patients’ family physicians to inform them about their patients’ osteoporosis and/or fracture risk; outline appropriate recommendations. Refer/link patients to established self-management, fall prevention and/or education programs, as appropriate. Provide ‘orphan’ patients with a resource to link to a primary care provider. Follow up with identified patients’ post baseline screening. Provide regular program updates to the RIL and as requested by other Strategy staff. Assist the RIL in providing ongoing support and education to hospital, community and primary health care staff. Identify opportunities for program growth, development and outreach. Attend and engage in Regional and Provincial team meetings. 10 month contract, with possibility of extension. Placement within Trillium Health Partners Mississauga. Subject line in your email should read “THP/FPC”. On request, Osteoporosis Canada accommodates the needs of all applicants with disabilities in our hiring process. No phone calls please. Only those candidates selected for an interview will be contacted.